In recent years, Yorkshire has seen an influx of refurbishment projects to iconic buildings from our past. From multi-million-pound residential projects, to exciting new community attractions, Yorkshire development and construction companies have a lot to be proud of in the way they’ve breathed life back into some of the country’s most significant architecture. This central Leeds market, which dates from 1822, was in danger of being overshadowed by new city centre developments of Eastgate Quarter and Victoria Gate, just minute’s down the road. The market, which saw the likes of retail giants such as Marks & Spencer grow up through the 1880’s was becoming tired and proving more and more difficult to meet the demands of modern day businesses. To ensure the future of this historic site, Leeds City Council put together an extensive plan of redevelopment works, including creating new events space, restoring important heritage features and bringing the market’s ‘behind the scenes’ infrastructure up to date. Not only did developers have to contend with the restrictions placed upon Grade 1 listed buildings; but the live city centre environment, close proximity to key transport hubs, and over 400 traders to avoid disruption to, meant work had to be meticulously planned. The project financials came in at approximately £13.65m, and, since the works, Kirkgate Market has been voted Britain’s favourite market in both 2016 and 2017. 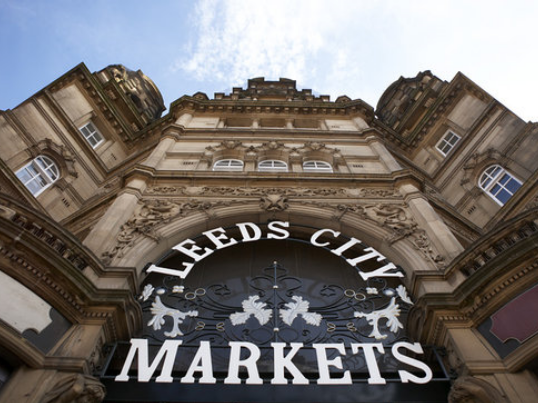 Find out more about Kirkgate Market on the Leeds City Council website. One of the nation’s most outstanding Georgian buildings, Piece Hall was built in 1779, as the centrepiece of trading in Halifax. Originally built as a ‘Cloth hall’, the imposing structure has remained a prominent sight in the Yorkshire town for over 200 years. Since the retirement of cloth trading, the Hall has served important community purposes, such as housing a wholesale meat and fruit market, a political hustings venue, art gallery and museum. The Grade I listed building is now the only surviving cloth hall in Britain. 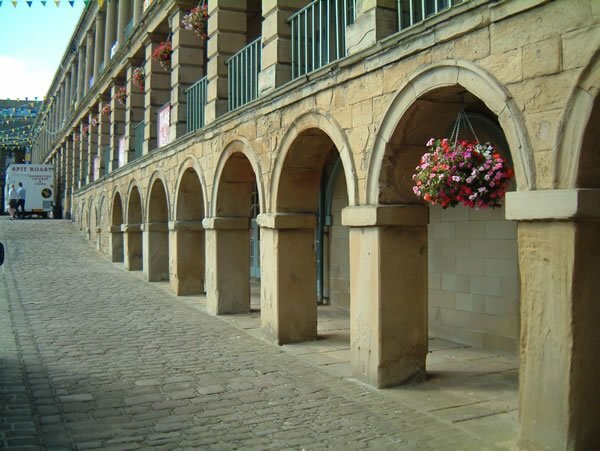 In order to conserve the buildings heritage, and restore it to its former position as a central hub for the local community and visitors alike, an ambitious £19m transformation project was carried out by The Piece Hall Trust. The project aimed to create a heritage and learning visitor attraction with high quality conference and learning spaces, as well as a mixture of bars, restaurants, shops, cafes, creative businesses, a gallery and a 66,000 sq ft, accessible courtyard to house events and festivals. Opening on Yorkshire Day 2017, Piece Hall has been successfully transformed into a community centrepiece to be proud of – for both the residents of Halifax and its surrounding areas, as well as the combined project team of engineers, architects and planners. The site is already full steam ahead with a series of events including ‘Workshop Wednesday’s’, ‘Fun & Fashion Fridays’ and a month long Welcome festival including art exhibitions, musical performances and aerial shows to entertain adults and children alike. We think the Hall strikes the perfect balance between upholding heritage and ensuring everyone can access this important piece of Yorkshire history. Although not yet a completed project (it’s actually barely started), this site deserves a mention purely for the price tag. Before we even account for the property sale price and additional site surveys and remediation works, the restoration and repair works to Wentworth Woodhouse are estimated at £42 million. That’s twice the cost of the previously mentioned Piece Hall project. So, why the large price tag? With over 200 rooms and surrounding grounds of 83 acres, Wentworth Woodhouse is England’s largest privately owned home; the East front alone is measured at more than 180m long. The new owners of the property, Wentworth Woodhouse Preservation Trust (WWPT), have grand plans for this spectacular early 18th century mansion. They hope to renovate and reopen the state rooms and gardens to the general public, whilst also converting outbuildings and the rest of the grounds into a business centre and events space. Maintaining a house of this grandeur is an expensive ongoing project, but this beautiful property is an important part of English heritage and provides a valuable boost for businesses and tourism in the South Yorkshire region. We wish the new owners the best of luck in their venture! The Chocolate Works in York was the confectionery factory of popular chocolate maker, Terry’s & Sons. Famous for producing the Chocolate Orange, Terry’s All Gold and the less well known Chocolate Apple, among others, the factory on the outskirts of York first opened in 1926. When chocolate production moved to Europe in 2005, the factory was permanently closed. 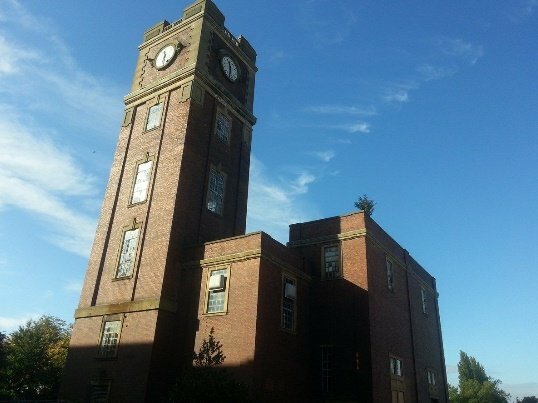 However, the iconic building has been given a new lease of life by developers, Henry Boot and David Wilson Homes. This joint venture sees the creation of a mixed-use scheme, including luxury residential apartments, a care home facility for the elderly, and a new leisure development boasting a cinema, offices, retail and food outlets. A relatively modern development compared with other sites in this list, we’ve included The Chocolate Works because of the diversity achieved by the developers – from family houses and luxury apartments, to a care home, office space, a cinema, retail and leisure outlets – there’s few things you can’t now do at The Chocolate Works! This versatility has been helped by the site’s size (a whopping 27 acres), and the partnership between developers David Wilson Homes and Henry Boot Construction. With the Terry’s factory playing such a huge role in the city’s industry and heritage, a development that can be enjoyed by all ages will surely be welcomed by the majority of residents. Have you worked on another inspiring heritage project in Yorkshire? Do you think we’ve missed a deserving candidate? Let us know!